The cornea is essentially the "window of the eye". 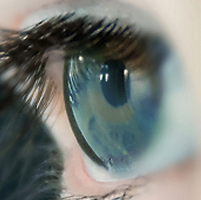 Transparent and curved, the cornea is the first place in the eye where light begins to bend. The correct bending of light, or refraction, is necessary to allow light to properly hit the retina, sending messages to your brain, which allows you to see. Certain corneal diseases, such as keratoconus and Fuchs’ dystrophy, change the shape of the cornea drastically, making light bend in a way that distorts the image greatly before it lands on the retina. A corneal transplant removes the diseased cornea, replacing it with a donor cornea, and vision gradually improves over time. Corneal transplantation is an option for people who have scarred corneas due to infection or injury, corneal clouding caused by Fuchs’ dystrophy, or corneal thinning caused by keratoconus. Many people who would have been permanently blinded in the past may now have their vision restored with corneal transplants. Corneal transplants have become quite common throughout Scotland. With the help of technological advances, the chances of success have increased dramatically. Even though the disease may affect only the selected layers of the cornea, the conventional corneal transplant surgery (called penetrating Keratoplasty) involved removing the entire cornea, replacing it with a donor cornea. This meant using 16 to 20 stitches and required a long recovery time after the operation. Patients who undergo penetrating Keratoplasty often require additional surgical procedures and it takes about 12-16 months before the healing process is complete. With technological advances, selected surgeons, such as Mr. Sathish Srinivasan, are able to perform a partial corneal transplant operation that involves selectively removing only the affected layers of the cornea and replacing it new donor corneal layers. Endothelial Keratoplasty (EK) is a new type of selective corneal transplant operation performed for patients with Fuchs endothelial dystrophy. The EK procedure selectively removes the affected endothelium (inner most layer of the cornea) and replaces it with the "new" endothelium from the donor cornea. This means no stitches to the cornea and the patient recovers vision much quicker (in 2 to 3 weeks), compared to the traditional PK surgery of 12-16 months to regain complete vision. Mr. Srinivasan was the first eye surgeon in Scotland to perform EK surgery. He routinely performs this procedure in the National Health Service and privately. For further information, please call our office at 01292 282100 with any questions or to arrange an evaluation for treatment.